A friend once told me about the Baader-Meinhof phenomenon, whereby someone will mention something a bit obscure that sticks in your mind, which then mysteriously crops up again and again. This summer’s Baader-Meinhof was Greece. 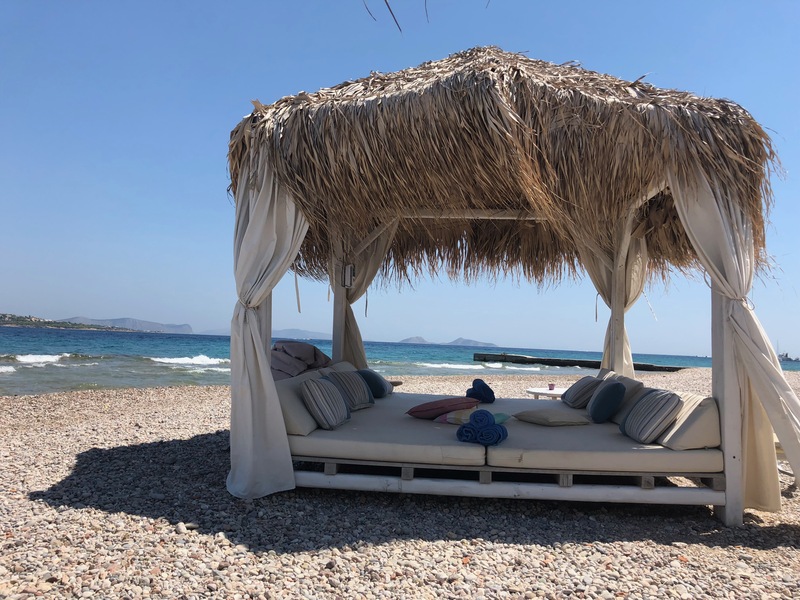 More specifically, it was Spetses. Strange, as prior to booking a family holiday there to celebrate my dad’s 80th, I’d only heard of it in passing, and yet in the months prior to our visit, my Instagram feed was awash with weddings and hen dos and parties happening in Spetses in a very Baader-Meinhof fashion. The island sounded seductive on paper. Two hours by boat from Athens, and free of traffic because people either ride in carriages or drive on scooters as cars are banned (there are seven taxis in total serving the island’s population), it’s a place where wealthy Athenians and Hollywood royalty have holidayed and partied for the past century. – It’s not really two hours from Athens / That’s just the boat bit. Before that, you have to travel from Athens airport to the Piraeus port (about forty mins), then get the boat (two hours), then schlep up to wherever you’re staying. Given the aforementioned taxi situation, if you want help getting to your place, book in advance and ask them to meet you at the port. Basically: you’ll get there really tired and the journey from London door to door took us about ten hours. – The horse situation isn’t as great as it sounds / On day two, I took a horse and carriage from the beach to the port and thought how lovely travelling in such a natural way was – but then looked at the horse on disembarking and was aghast because it looked exhausted in the heat, and the owner had clearly not shown it the due care. I then ended up looking more closely at all the horses and was horrified at how thin some of them were, and how their ill-fitting bridles were in some cases cutting into their flesh. I reported it and would encourage you to do the same if you see animal cruelty abroad as the police said it is tourists complaining that really makes a difference. The good news is that the alternative mode of transport was a scooter and driving around on one was immensely fun and guilt-free. – The Poseidonion Grand Hotel is the main beast on the waterfront / It’s a properly grand affair, dating back to 1914, sitting overlooking the new port. I went there for dinner and for massages and wouldn’t overly recommend the first (though sitting on the terrace overlooking the yachts was beautiful, our party weren’t overwhelmed by the food), but the second was heavenly and well worth the spend. 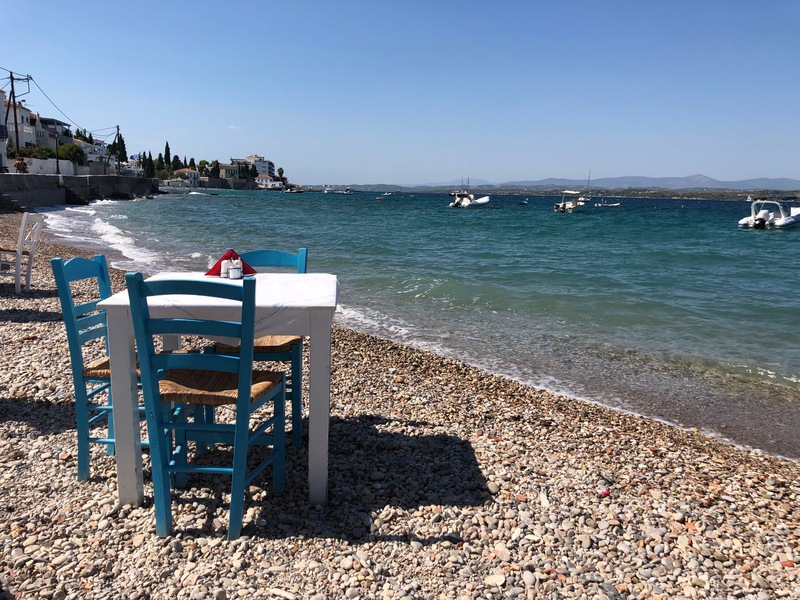 – It’s not cheap / This is not the island to hit up if you want a bargain – though the food is excellent, the shopping even better, and the views heavenly, so we didn’t balk at the extra spend. – Don’t forget the Old Harbour / Dapia, where the new port is, is bustling and charming, but the Old Harbour feels quiet and mesmerising and is well worth seeing. 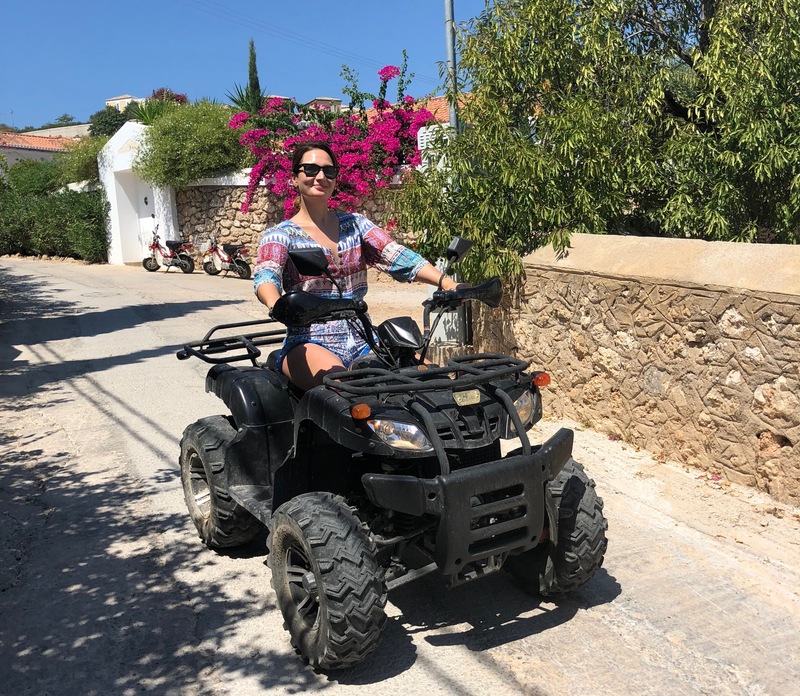 – You’ll definitely have to take a scooter to good beaches / All over Spetses there are tiny steps into the water, so if you find you’re hot on your walk you can very easily whip off your sundress and plunge in. But for a more traditional beach experience, you’ll have to go further afield. We went to Kaiki beach, which was spendy and also noisy and busy, but better with old people who wanted loos and food nearby. If without very old or very young people requiring such things, the little beaches you can reach by scooter are fantastic and much quieter. – Renting a villa is a good shout. 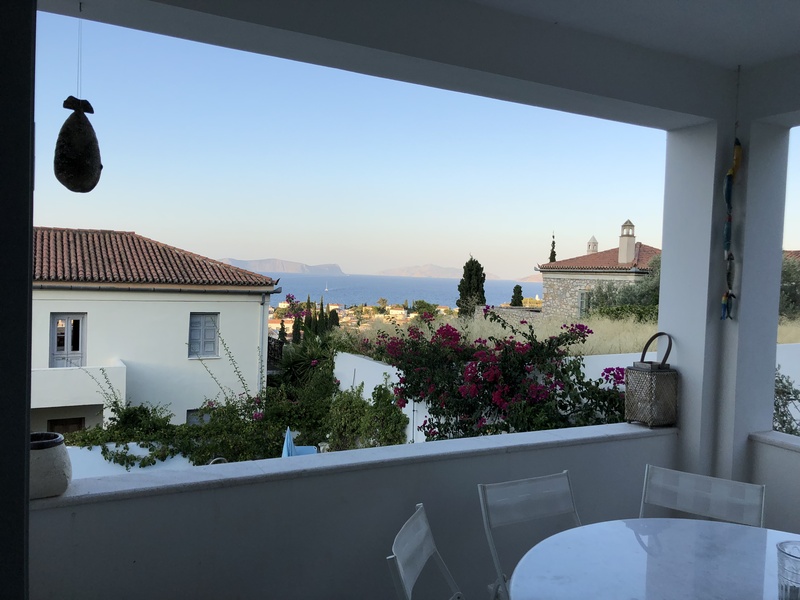 We booked one through Pretty Greek Villas and it was really beautiful and in a great spot but, again, it wasn’t cheap. – It’s Greece, and therefore hot. Obvious point, but worth mentioning. We went in August, so it was HOT HOT. If you’re going during warmer months, pack suncream. A lot of suncream. And a hat. And not much clothing.